Abstract: Transport over water faces challenges such as increases in volume, more demanding environmental requirements and an increasingly serious shortage of seafarers in the future. Higher levels of intelligence of ships, meaning they can comprehend the surroundings and figure out what to do more autonomously, could relieve these challenges. However, there are few applications of intelligent vessels for civilization use. On the other hand, a variety of technologies has been applied successfully in Unmanned Surface Vehicles (USVs) for military or mine countermeasure use. This paper summarizes the general architecture of an intelligent vessel and then focuses on the internal algorithmic techniques used in a hierarchical system, from multi-source data fusion, path planning to low level motion control. Alongside, cooperative vessel formation control is briefly reviewed. Then, the translation of the theories, algorithms and applications in these fields to the domain of intelligent transportation vessels is discussed. 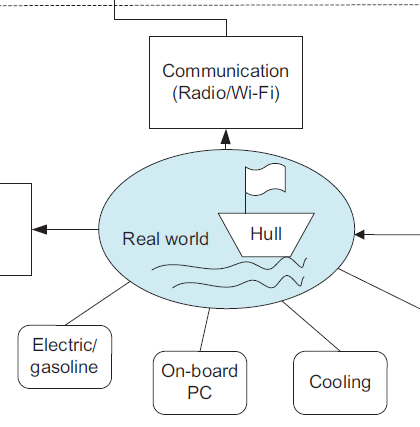 Based on this, possible directions for future research in intelligent transport vessels are outlined. Reference: H. Zheng, R.R. Negenborn, G. Lodewijks. Survey of approaches for improving the intelligence of marine surface vehicles. In Proceedings of the 16th International IEEE Conference on Intelligent Transportation Systems (IEEE ITSC 2013), The Hague, The Netherlands, pp. 1217-1223, October 2013.